Kim Gardner is one of our 2017 ASPN – Advanced Student Project Network residents. The ASPN program was established to offer exceptionally talented students enrolled in undergraduate programs an opportunity to come work at the Clay Center with a group of dedicated peers in order to expand and invest in their studio practice. Kim comes to us from University of Massachussets – Dartmouth. My surroundings often introduce stories and made up histories to the people and things around me. This could be the history of the ratty frayed rope in the gutter, or the story of the man I see ringing groceries at the store. My understanding of human culture builds questions to better strengthen these stories. This can sometimes be a fleeting moment of amusement or trail into a rabbit-hole of thoughts about humans as animal and evolution. My work begins as an anecdotal investigation, created out of these events. Forms are fabricated and marks develop as a reply to the form. Building objects in an anatomized sort of way, and stitching a new history. 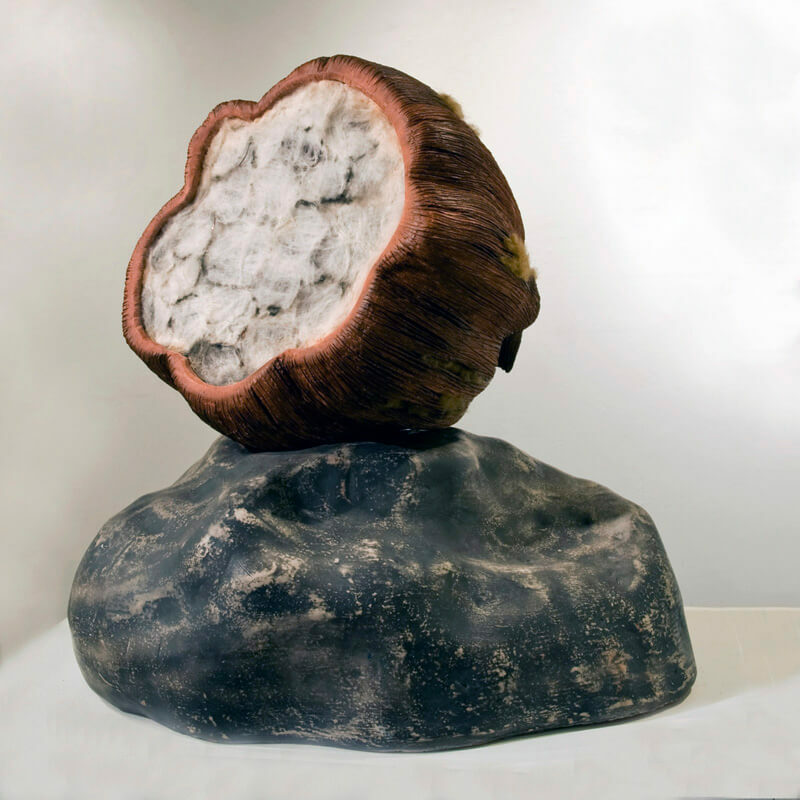 Utilizing clay, fibers, and post-fire glazes, my work often responds to erosion, growth, dependency, decay, and anthropomorphism as it relates to material, utility, tactility, and volume.